Last week, in a blur of committee meetings and debates on the Senate and House floor, the legislature completed its most important task of the 2018 General Assembly session – approval of the $24 billion state budget for the 2018-19 fiscal year, which begins July 1. The budget is now in the hands of Gov. Roy Cooper who is widely expected to veto it. With veto-proof majorities, the GOP House and Senate will undoubtedly override Cooper’s veto. So while the budget process still has several weeks to go before completion, what we saw last week in the budget is basically what we are going to get for FY2019. As is often the case in the sausage-making of the General Assembly, one has to consider what the General Assembly included (or didn’t) in the budget as well as how it went about its work. 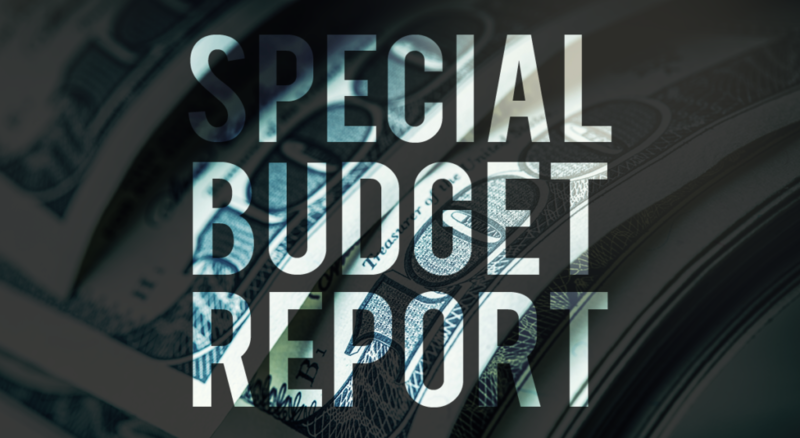 It’s also important to step back from the details of the budget and consider it in a broader context. In this report, we’ll try to do a little of all three. What’s In the Budget for The Environment? From an environmental perspective – and in comparison to previous spending plans approved since the current GOP majorities took control of the legislature in 2011 – this latest spending plan had some positive elements. For example, the new budget includes a substantial, $3.6 million investment in landslide mapping for WNC counties. This funding has been a MountainTrue legislative priority for several years out of concern for public safety. We also support the mapping because it allows local communities and individuals to make informed decisions about development. It’s a sad irony that several people were killed in landslides in the region the same week the legislature approved this funding, leading to press reports exploring whether the fatalities might have been avoided if the legislature had not cut the program in 2011. Many thanks to Rep. Chuck McGrady, who led the effort to fund the mapping this year, and who opposed the 2011 cuts as a freshman legislator. MountainTrue is also pleased that the legislature chose to maintain or expand funding for the Clean Water Management Trust Fund, as well as trust funds that support state parks and farmland preservation. While these trust funds have not returned to their pre-recession funding levels, we are grateful that funding is increasing, even if slowly. From the Every Little Bit Helps File, we also note that the legislature provided $225,000 to protect the state’s hemlock trees from invasive insects and $20,000 for a study of whirling disease, which threatens the state’s trout industry. The whirling disease funding was a legislative priority for MountainTrue, and we thank Sen. Deanna Ballard of Alleghany, Ashe, Avery, Caldwell and Watauga counties for getting and keeping that funding in the budget. We are more ambivalent, however, about the General Assembly’s response to the clean water issues raised by GenX contamination in the Cape Fear River. While the legislature made very modest investments in the NC Department of Environmental Quality, the funding remains far short of the resources the Department needs to respond to GenX, as well as other water quality issues across the state. That brings us to the how of the budget – the process lawmakers used to draft and vote on how to spend taxpayers’ money. Unfortunately, for the average citizen and many legislators, there was no budget “process” this year. Lawmakers began meeting behind closed doors weeks before the session started on May 16. 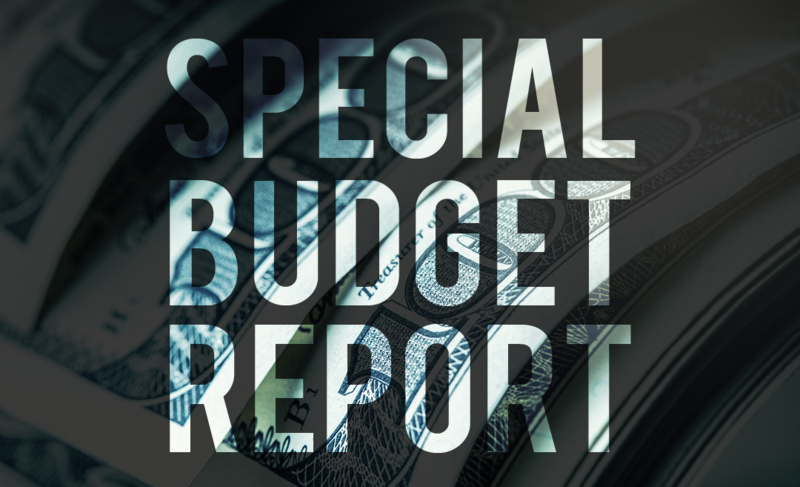 Last week, they released the spending plan and presented it at committee meetings, where amendments were not accepted. Then, legislative leaders put the bill on the Senate and House floors for one, yes-or-no, take-it-or-leave-it vote in each chamber – again without allowing any amendments or changes to the bill. For the first time since at least the 1970s, the majorities in both the House and Senate approved the state’s spending plan without allowing any public comment on the bill or any amendment by any legislator, regardless of party. It was a breathtaking and disturbing display of raw political power that should leave all North Carolinians – whatever their political affiliation – concerned about their government’s commitment to basic democratic values. When considering the budget approved last week, it is important to think about the choices that lawmakers have made that impact how much money they have to spend on the environment and other critical needs. More specifically, since 2013, the General Assembly has approved roughly $3 billion in tax cuts, which have created a sense of scarcity in the General Assembly, where budget writers regularly report the difficulty they face in addressing the state’s pressing needs. The result is a budget process – and a budget – that unnecessarily pits education spending and salary increases for state employees, for example, against investments in clean water and clean air. In our view, these are false choices, imposed on all of us by legislative leaders who are unwilling to have a broader debate about the state’s needs and how to meet them – or, this year, any debate at all.